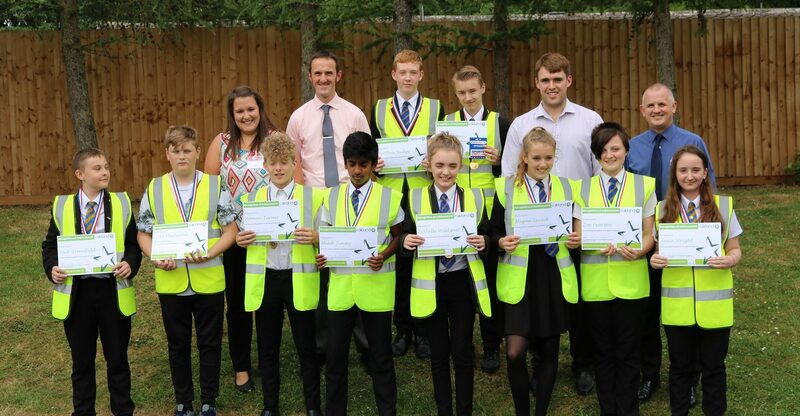 Ten students from Ipsley CE Academy in Redditch are revelling in their success after completing the Oakland Programme, a structured course designed to provide young people with valuable workplace experience. Run by local children’s charity the Oakland Foundation and in partnership with the Oakland Foundation’s key sponsor and local business Oakland International, the Programme has been hailed a success by the school and the second time they have enrolled students on the Programme. Foundation Trustee, Hayley Smith, commented: “The Oakland Programme is designed to be flexible to best suit the outcome for the pupils involved, and includes a number of structured sessions covering career advice aimed at raising students’ employment aspirations.” Thought provoking, this young people’s project offers the chance for students to experience different workplace environments and the feeling of ‘being at work’ and understanding what that actually involves. Foundation Trustees worked with the students at the school to deliver a number of sessions which offered pupils the chance to understand where our products come from, the safety awareness required concerning vehicles and lorries, as well as work shadowing within Oakland International’s departments, which helped aide their understanding and helped identified the key skills required by certain job roles before then taking part in their final graduation food based challenge; working as a team to design and cook a main meal and dessert using ingredients provided which they then served to parents, carers and guardians at their graduation ceremony. “The pupils involved in the Oakland Programme have had a fantastic experience, not only learning important work-based skills, but also developing their confidence. Thanks to Oakland, we are able to provide a unique opportunity for pupils of this age that will have lasting impact on their futures,” Nicola Beech, Ipsley CE Academy Principal, added. The Oakland Foundation works with children and young people within Redditch and Bromsgrove and the surrounding area through their work in the areas of Health and Nutrition, Education and Sport.